indigenous sport of Kabaddi to levels of new professionalism, which will benefit all stakeholders involved in the ecosystem of the game, Kabaddi, most of all, the players themselves, who will become the new role models for the youth of India. This bold step will highlight the new, modern, international and competitive face of Kabaddi throughout the length and breadth of the country, and beyond. Pro Kabaddi was an eight-city league with games played on a home & away basis with each team playing each other twice in July and August, 2014. In a significant value addition to Kabaddi, these games were carried live on prime time TV by the international broadcaster, Star Sports for millions to view across India and the world. This unique effort has the formal backing by the International Kabaddi Federation (IKF), the Asian Kabaddi Federation (AKF) & the Amateur Kabaddi Federation of India (AKFI), who will be closely associated with the organization and delivery of this event. Its first three editions witnessed celebrities across various fields come out and cheer, and now, Star Sports Pro Kabaddi is all set to kickstart Season 4 begins at Pune on June 25th 2016. With less than 20 days to go for the fourth edition of the Star Sports Pro Kabaddi to begin, Sanjay Gupta, COO, Star India said, “The first three seasons of the league saw an overwhelming response from TV viewers, stadium spectators and sports enthusiasts. With season 4 we will scale up our reach and keep raising the league’s value for viewers, players and franchises through high-end production, marketing, communication and grassroots programme. The fact that Kabaddi is now the country’s second most viewed sport, second only to cricket, brings us great pride. There is a growing passion for the sport and this success helps us in our goal of encouraging sporting talent and nurturing heroes. 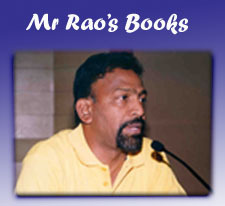 The game will reach out to significant clusters of populations through broadcast in four languages, i.e., English, Hindi, Kannada and Telugu. Star Sports Star Sports Pro Kabaddi will also be broadcasted globally to audience in over 100 countries, including United States, United Kingdom, Middle East and Latin America. Star Sports Pro Kabaddi, which is promoted by Mashal Sports and Star India with the backing of the Amateur Kabaddi Federation of India and International Kabaddi Federation, will feature a total of 138 players across 8 teams. As per the available data of the opening 2 weeks, Star Sports Pro Kabaddi viewership on TV increased by nearly 56% from the 2014 year’s viewership. During the inaugural season tournament viewership was 43.5 crore(435 million) viewers, which was the second in India after the 56 crore(560 million) of IPL viewership. The online viewership also increased 1.3 crore unique visitors, which is 18.5 times than of last year’s 7 lakh unique visitors. The third season which was flagged off on 30 January, recorded a surge in viewership with the opening week ratings 36 per cent higher than the week one viewership for its last season. 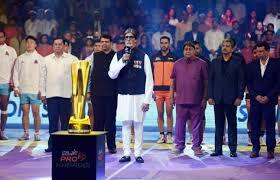 The Star Sports Pro Kabaddi league auction for season 4 was successfully conducted in Mumbai. All in all, 96 players from a list of 198 players were bought by various franchises, fetching a total of Rs. 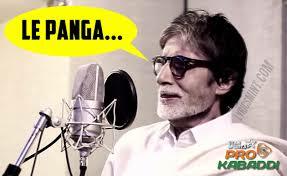 12.82 crores. All the franchise owners looked to improve their team combination for the upcoming season and make their team a force to reckon with. The highest bid for this year’s auction was Mohit Chhillar who was bagged by Bengaluru Bulls for a whopping amount of Rs. 53 lakhs; against the base price of Rs. 12 lakhs. The top five players in the overseas category saw high interest from all franchises. Fazel Atrachali from Iran went to Patna Pirates for Rs. 38 lakhs. South Korean star player Jang Kun Lee was retained by Bengal Warriors for Rs. 22 lakhs. Hadi Oshtorak, who was the most expensive player from Season 2 kept up his impressive run in Pro Kabaddi and was bagged by Patna Pirates for Rs. 8 lakhs. Iranian all-rounder Meraj Sheykh went to Dabang Delhi K.C. for Rs. 19 lakhs. Nitin Kukreja, CEO Star Sports said, “Over the last three years, Star India has led the way in showing that India is ready to be a multi-sport nation. A particularly successful example of this phenomenon is the growth of Kabaddi over the last 20+ months. “With the aspirational narrative that the sport was given, each season of Pro Kabaddi has grown in stadia as well as on television, in rural as well as in urban audiences. The Season 4 auction unfolded a brand new chapter in Kabaddi with 198 players going under the hammer! The teams were armed with their respective strategy and aimed to find the perfect balance for Season 4. Franchises were given the option to retain two of their existing players. The key Indian players retained by franchises include Manjeet Chhillar and raider Deepak Niwas Hooda for Puneri Paltan. The charismatic captain cool of U Mumba, Anup Kumar and Rishank Devadiga were retained by the team. Dabang Delhi K.C. kept hold of Kashiling Adake, who will be playing in his 4th season for the team along with young raider Selvamani K. Rahul Chaudhari and Sukesh Hegde will once again represent the Telugu Titans while Jaipur Pink Panthers have retained Rajesh Narwal and Jasvir Singh. Bengal Warriors retained Nilesh Shinde and Girish Maruti Ernak. Bengaluru Bulls retained Pawan Kumar and Ashish Kumar. Winners of Season 3, Patna Pirates retained Pardeep Narwal and Rajesh Mondal, leaving their winning captain in the auction pool. Noteworthy was a brand new endeavour by the league to promote talent across the country. This season will see franchisees pick and host three young players who will be trained alongside with the squad. These players will be treated as potential talent in the age group of 18-22 and necessarily should have never played in a league before. They will have a franchise commitment of two seasons. Anand Mahindra, co-promoter of the Pro Kabaddi league, talks about what attracted him to the sport. 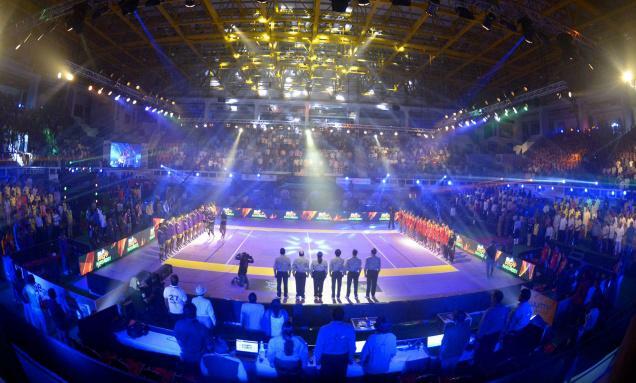 How did the idea of Pro Kabaddi come about? My brother-in-law and sports commentator, Charu Sharma, reintroduced me to the sport and explained how the game had evolved and almost reinvented itself into a modern, competitive international offering. While Charu had piqued my interest, it was former NBA President, Heidi Ueberroth, who made me think about kabaddi very seriously. In 2010, during her visit to India, Heidi mentioned being captivated by what she saw on Indian television. Given its fast paced, action-packed raids and the combination of strategy, teamwork and athleticism, she convinced me that kabaddi was the ‘complete sport’ ideally suited for television audiences. I appealed to Charu’s entrepreneurial instincts to set up the Pro Kabaddi league. What about the sport appeals to you individually? I was fascinated to learn that the sport has its origins in the Indian epics — to Abhimanyu’s raids into the Chakravyuha in the Mahabharata. Kabaddi is therefore a truly Indian sport, part of our history and heritage. The sport also encompasses many facets of athleticism — power, agility, stamina and courage. At the same time, kabaddi involves a fair amount of strategy and teamwork. The more I learnt about the sport, the more I felt that this Indian sport, which has now gained global recognition, is ‘in a league of its own’ and therefore deserves a league of its own’. 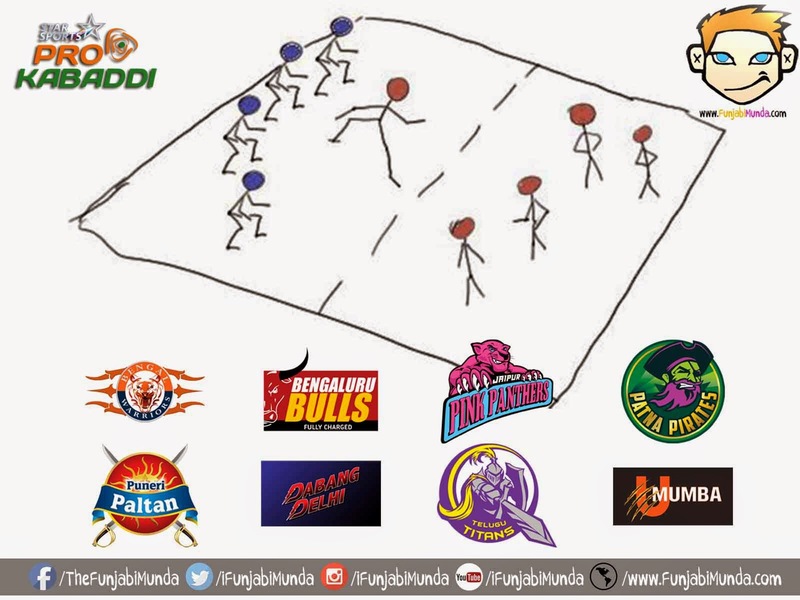 What kept kabaddi going when the Mahindras stopped the other teams? I think the fact that the Mahindra kabaddi team survived is testament to the power of the game rather than anything else. M&M, of course, has always had a significant presence in Maharashtra, which in many respects is considered the home of kabaddi. The sport is very popular across the state and it isn’t surprising that despite budgetary constraints, the love and passion for kabaddi within the Mahindra ecosystem kept it alive. Why did you choose to go it alone and not with the entire corporation’s support? M&M focuses on initiatives allied to the business, adding to the brand value. Mahindra Racing therefore has teams participating in the 2 wheeler Moto GP championship. We also recently entered Formula E, FIA’s electric car championship. I did not want to foist my passion onto the company. What do you see as a challenge to this league? Kabaddi runs to packed audiences, be it big cities or small villages. The biggest challenge will be in translating this love, emotion and passion that the spectators inside the stadium feel to the TV audience. Abhishek Bachchan is the owner of the Jaipur team for the Pro Kabaddi league which will air on Star Sports!!!!! !